The rest of my table were going Russian for the starter taking up the offering from the Cossack Cuisine stall, which was “Baltic Cod Fish cakes served with a gem lettuce leaf, and a cheese and watercress garlic dip”. This was a winner of a plate from start to finish. The batter surrounding the lightly salted cod chunks was neither soggy or too crisp, it had a great bite, I was surprised how moreish the dip was, it looked a bit messy but it was certainly tasty. 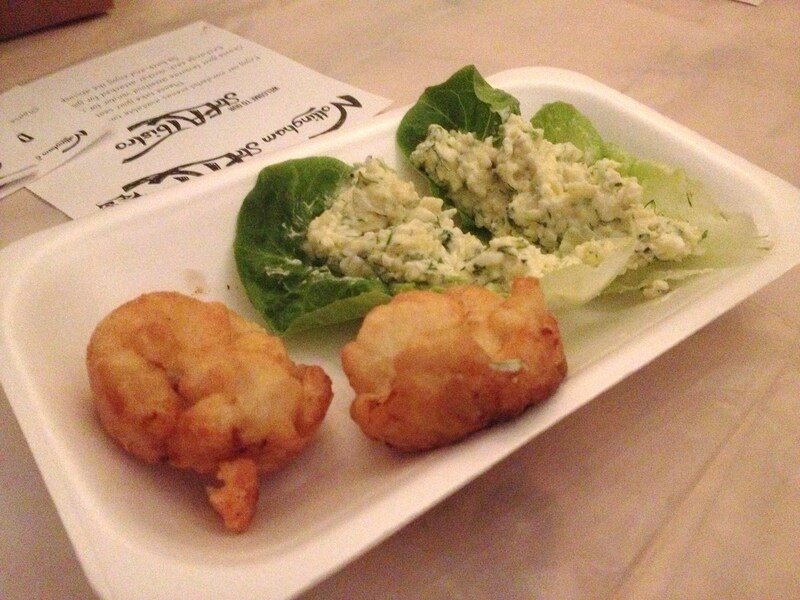 The best way to eat this starter was to make little lettuce wraps of fish cake and dip. Not my first choice starter, but I did enjoy pinching everyone elses. 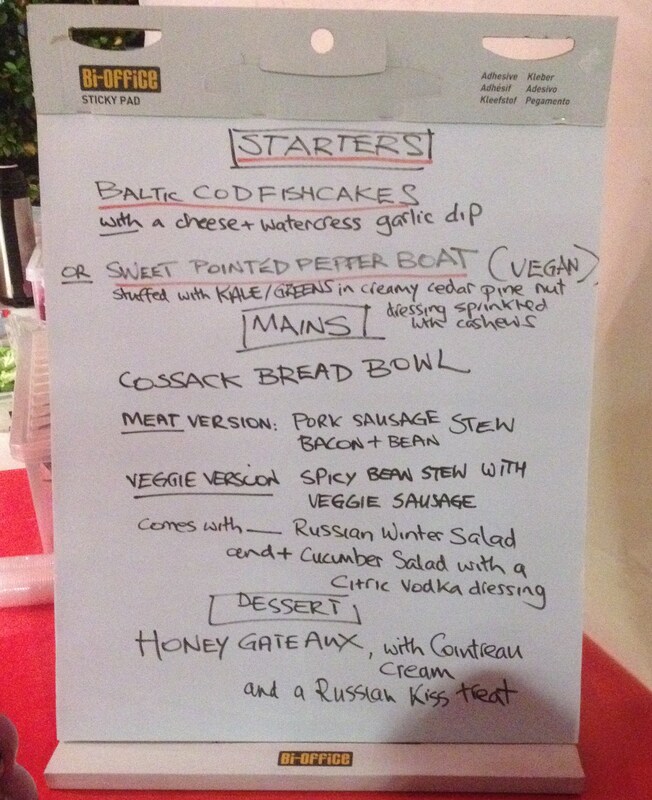 The Cossack Cuisine offering for the Main was the “Cossack Bread Bowl”. This came with a choice of fillings, the meat filling option was a ‘handcrafted artisan sausage bacon and bean stew’, there was a vegetarian option too but I wasn’t paying any attention to that. The bowl came with a ‘Russian Winter Salad’ which was described as a ‘colourful julienne of beetroot and ‘other’ crunchy vegetables in a vinaigrette marinade’, it also comes with a cucumber, lettuce, and rocket green salad with a small pot of citrus vodka dressing. 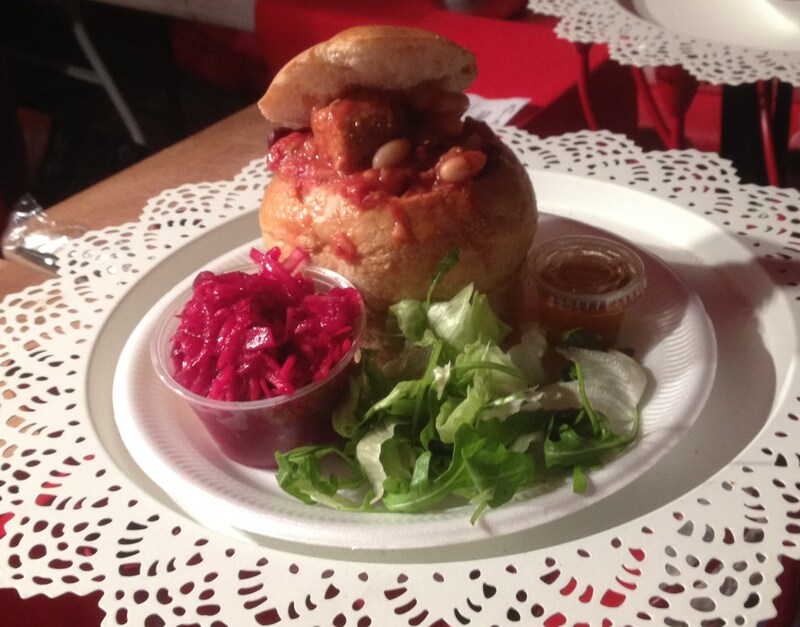 As I had shared my Porco Pulled Pork, I also had a half of one of these bread bowls. I really liked the filling, the sausage was firm and flavoursome, and the beetroot was light pickled with just the right amount of tang, but I couldn’t eat all the bread. 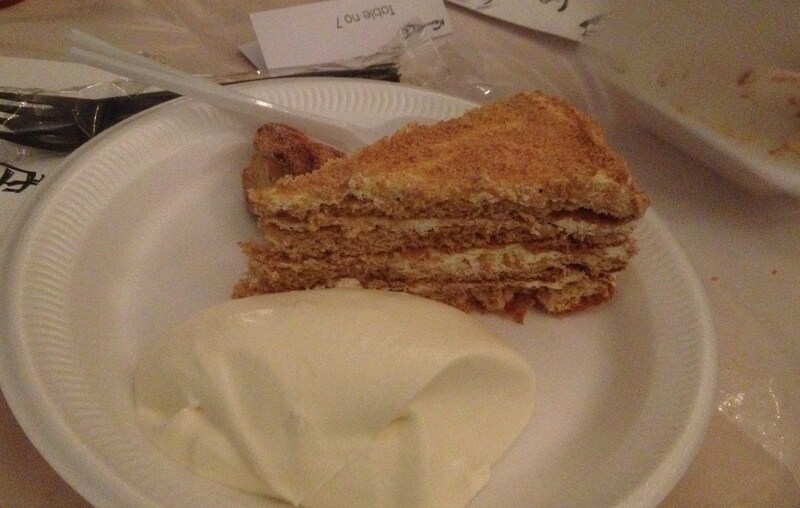 Pretty much everyone I spoke to, not just at our table were smitten with the Russian Honey Gateaux with Cointreau fresh cream from Cossack Cuisine. 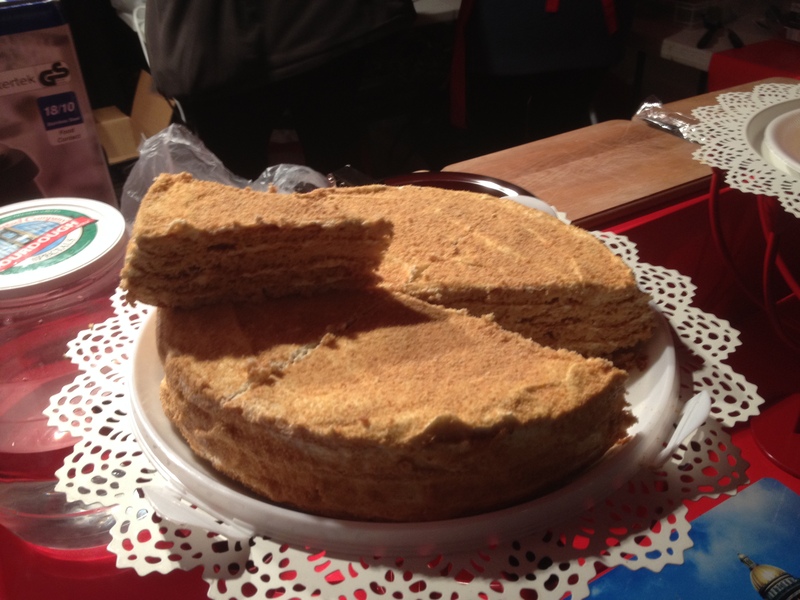 I am not particularly a cake man, but even I was quite content to share a slice of this. It came with a “Russian Kiss”, which is apparently some sort of cream cheese biscuit treat. I never saw that bit of the plate, I think it was eaten by someone on the way back to our table.